Michael Dell founded Dell in 1984. Dell was renamed Dell technologies last year. Two years ago it acquired EMC for $67 Billion. It’s a global computing and IT business that deals in a wide range of computing related products and services as well cyber security and other products. Dell is going public again after having remained a private firm for several years since its foundation. However, the recent events have led to growth in operating expenses. Dell has also made a series of acquisitions down the line to achieve growth, the latest one being EMC. The computing industry has experienced a decline in demand over the past few years. This has happened mainly due to the rise of mobile computing. Dell is also facing extreme competition from the other computing brands including HP, Lenovo, Apple, Asus and Acer. Moreover, Dell has failed to diversify as well as some of its competitors. It did not enter the smartphone market which is Apple’s most profitable business. Lenovo also makes and sells smartphones. Still, Dell is a well known brand with some major strengths that will help it survive the challenges before the industry in the long run. In the recent years, it has also increased its focus upon innovation and expenditure on research and development. Read a SWOT analysis of Dell technologies discussing its Strengths, weaknesses, opportunities and threats. Brand image :- Dell has a strong brand image as a global PC and IT company. Its focus on quality and innovation are the main reasons behind its popularity. 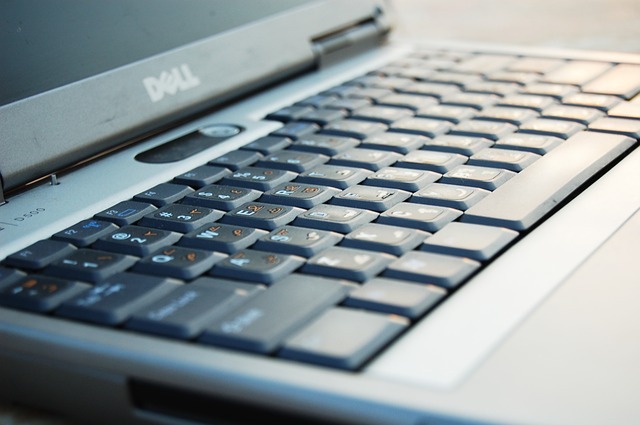 Dell’s popularity can also be attributed to its varied pricing strategy partially. It has brought a wide range of products to the market. However, it makes products for the higher end as well as the lower end market. A strong brand image has resulted in higher popularity and sales worldwide. Product Portfolio :- Dell has maintained a large product portfolio that has continued to grow through fresh acquisitions. Its business is divided into four main segments including Infrastructure solutions group, Client Solutions Group, VMWare and Other businesses. The Client Solutions Group offers PCs, notebooks, branded peripherals like monitors and projectors as well as third party software and peripherals. Dell formed its Infrastructure Solutions Group after the acquisition of EMC and its merger with Dell’s Enterprise Solutions Group. ISG offers cloud and big data solutions, which are built upon a modern data center infrastructure for enterprise customers. “VMware offers compute, cloud, mobility, networking and security infrastructure software to businesses” (Dell Annual Report, 2018). Its other businesses include RSA, Pivotal, Secure Works and Boomi. RSA and Secure Works provides cyber security solutions. In its PC business, the brand has brought both high end and low end products. Its alienware laptops come with a large price tag. However, Dell offers a large range of products in the lower price range too. Focus on innovation :- Dell is an innovative brand and invests in innovation for continuous expansion of its product line. Its focus is on the development of scalable technology solutions at competitive prices. Dell incorporates customer input into the research and design process. Moreover, its engineers collaborate with a large network of technology companies globally to create new designs and bring hi-tech solutions. In the recent years, it has increased its investment in Research and development. For 2016, 17 and 18, its investment in research and development was 1.1, 2.6 and 4.4 Billion dollars. In 2018, it has sharply raised the investment it makes in research and development. Global expansion :- Dell is a multinational brand with operations across several countries in Americas, Europe, Middle East, Asia and other geographic regions. US is its main market. However, the brand is trying to expand its business faster across several new. areas. It is focusing on emerging markets outside US, Japan, Canada and Europe. China and India are among the fastest growing markets currently. Dell is trying to increase its presence there. Efficient manufacturing and supply chain :- Dell has an extensive and efficient manufacturing and supply chain. The company owns manufacturing facilities in the United States, Malaysia, China, Brazil, India, Poland, and Ireland. Its manufacturing process consists of assembly, software installation, functional testing, and quality control. High operating expenses :- Operating expenses of Dell Inc. have grown very high which has resulted in operating losses for previous several years. In 2018, the operating expenses of Dell Inc have grown as high as 23.4 Billion Dollars leading to a loss of 3.3 Billion dollars. Over-dependence on Michael Dell for decision making:- Dell depends too much on Michael Dell for decision making who is both the CEO and the largest stockholder of the company. Sudden loss of his services may result in major difficulties for the brand. Being the main decision maker, Michael Dell exercises the highest level of control at Dell. Apart from bearing the responsibility of all major decisions, he is like a central pillar in Dell’s business model. In case, Dell loses Michael Dell’s precious services, it could result in severe losses. Lack of differentiation: – Dell is not a very highly differentiated brand. Moreover, it failed to enter some of the most profitable business segments like smartphones. Early entry into smartphone and tablet market might have proved highly profitable for Dell. It seems Dell has generally found it difficult to get out of its comfort zone when it comes to exploring new areas of business. Most of the products and services it offers have several substitutes in the market. AI and emerging technologies: – Dell can use differentiation for faster business growth and expansion. It can venture into new areas and invest in the development of new technologies. There are several emerging areas from AI to mixed reality that offer new growth opportunities. The brand can invest in these areas to grow its business. Investing in the emerging technologies can help the brand be more competitive. Asia Pacific markets:- The Asia Pacific markets are growing faster and Dell must focus on the emerging markets like China and India to find profitable growth. These markets are growing at the fastest rate and investing in them will help increase Dell’s income from international markets. Differentiation: Dell must try higher differentiation to create a distinct brand image. It is facing high level competition in the world market because most of its products have several substitutes. Differentiation will help the brand grow its product line and also open new channels of revenue for it. Dependence on US market :- The brand earns a very large part of income from the US market. In 2018, nearly 48% of the brand’s income came from United States. Dell currently depends heavily on United States. Apart from that Western Europe, Japan and Canada are also important markets for the brand. It is trying to increase its presence in the Asia Pacific market. However, Dell’s main market are still the Americas. Reducing its dependence on American markets will prove profitable in the longer run. High level of competition :- The level of competition in the PC industry has grown very high. Dell is facing heavy competition from other brands like HP, Lenovo, Acer, Apple and Asus. It has increased its expenditure on research and innovation as well as marketing. However, dell still does not spend much on Promotions. Its advertising expenditure for 2018 was just around 1 Billion dollars. Its R&D expenditure on the other hand has grown a lot reaching 4.4 Billion dollars in 2018. Shrinking PC market :- The PC market has declined fast during the recent years. this has happened due to several reasons. The biggest reason is the rise of mobile computing which has led to growth in use of smartphones, tablets and other mobile computing devices. High level regulation :- The level of legal and political regulation in the PC industry has grown very high. There are several laws in each area and apart from that laws related to international trade have also grown very high. This has led to higher compliance related costs as well as higher operational costs and pressures. Dell is among the leading players in the PC industry. The brand’s acquisition and merger of EMC’s business with its own two years ago has led to growth in operating expenses. (Dell had gone private back in 2013 and plans to go public again). Dell is now Dell technologies. However, the PC market has kept shrinking and there are several other challenges too in this highly competitive industry. The competitive pressure has led to higher expenses on marketing and R&D. The operational costs of the brand have grown high leading to operating losses. Dell is not so highly differentiated as several of its competitors. Apple has strong presence in the smartphone industry. Lenovo has also entered the smartphone market. However, Dell failed to diversify with the rise of the mobile computing industry. To find faster growth it must invest in emerging technologies as well as emerging markets. This will reduce its dependence on key markets and help find new channels of growth. Michael Dell has been leading the brand with efficiency. Being the main decision maker, he is responsible for all the important decisions. However,it also one of Dell’s vulnerabilities. Rather than remaining surrounded by competitors in an intensely competitive industry, Dell must try to diversify into new areas and find new opportunities of growth.